The Charlevoix Seismic Zone is the most active region in eastern Canada. More than 200 earthquakes are recorded there each year. 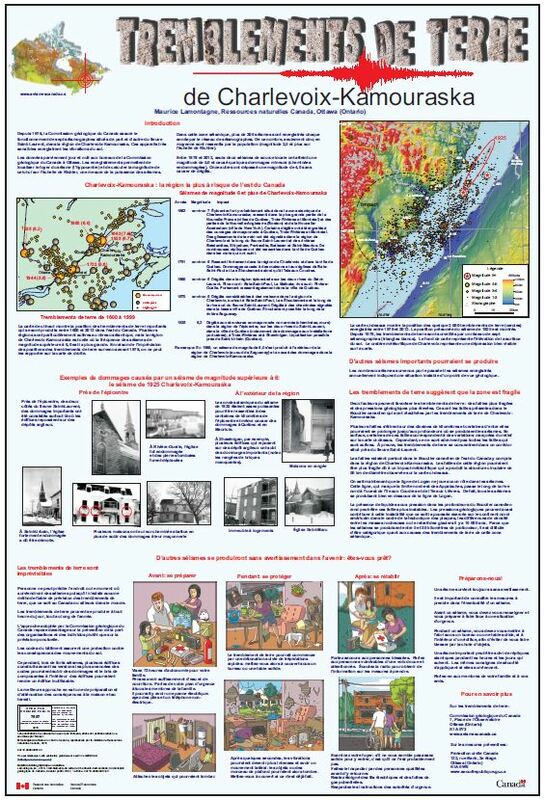 The poster describes some seismological and geological characteristics of the region and mentions the usefulness of preparedness activities to better react to an eventual damaging earthquake.